Reliance's mainstay refining and petrochemicals operations could be valued at $55-$60 billion in the gargantuan deal, fetching the Indian conglomerate around $10-$15 billion for the minority stake. Crude oil behemoth Saudi Aramco is in 'serious discussions' to acquire up to 25 percent stake in the refining and petrochemicals business of Reliance Industries Ltd, the largest Indian company. Reliance's mainstay refining and petrochemicals operations could be valued at $55-$60 billion in the gargantuan deal, fetching the Indian conglomerate around $10-$15 billion for the minority stake. The valuation exercise is likely to be completed by June, unnamed sources told The Times of India. Goldman Sachs has been appointed the advisor for the proposed transaction. At the current share price, Reliance has a market capitalisation of over $122 billion. The mega-deal will give Aramco, the world's largest crude oil producer a foothold in the rapidly growing Indian market. The move also fits well with Saudi crown prince Mohammed Bin Salman's aim to wean Aramco away from domestic oil profits and build a meaningful footprint overseas, primarily through value-added petrochemicals assets. Aramco, which churns out over $110 billion in profits annually, had first shown interest in Reliance a few months ago, but talks accelerated after Prince Salman's India visit in February, during which he met Reliance Chairman Mukesh Ambani. Consistent profits from the flagship refining and petrochemicals businesses helped Ambani chart Jio's blockbuster entry into the Indian telecom space. In the process of acquiring over 300 million subscribers within 30 months, Reliance's gross debt jumped to about Rs 3 lakh crore. While competition catches up to Jio, deleveraging will give Ambani fresh ammo to continue the telecom major's rapid expansion. The minority stake sale seems to be a part of Ambani's larger plan to monetise world-class assets and fund expansion. Reliance has also hived off Jio's tower and fibre assets into separate companies with an aim to monetise them. "But Jio is still some time way away from being spun off, it'll take more time," a source told the newspaper. As oil demand in the developed world saturates, emerging markets like India remain some of the few remaining hot spots for crude demand. Entry into the Indian market, be it refining or fuel retailing, is on the checklist of every major global oil producer. In December, Saudi Oil Minister Khalid Al-Falih had publicly stated Aramco's interest in joint ventures to expand India's refining capacity. Oil consumption in India is expected to soar to 10 million bpd (barrels per day) in 2040 from around 4 million bpd, currently. To meet the surge in demand, India will have to rapidly expand its refining capacity from the current 4.6 million bpd. "As a policy, we do not comment on media speculations and rumours. Our company evaluates various opportunities on an ongoing basis," a Reliance spokesperson said. The media outlet did not receive Aramco's response. To facilitate the deal, Reliance is likely to create a separate vertical for its refining and petrochemical operations. The Mumbai-based conglomerate had carved out upstream natural gas and exploration operations into a standalone unit to sell a $7-billion stake to British Petroleum in 2011. The Saudi giant is on an investment spree, picking up assets in Asian economies. On Monday, the company had announced plans to pick up a 13% stake in Hyundai Oilbank, as part of its expansion into South Korea. 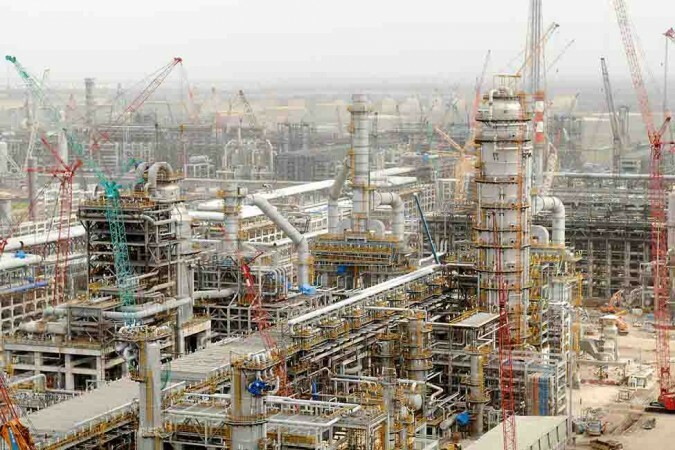 Aramco has also committed to set up a mega $44-billion refinery on the West Coast in Maharashtra, in partnership with Indian state-owned oil companies and Abu Dhabi National Oil Co. 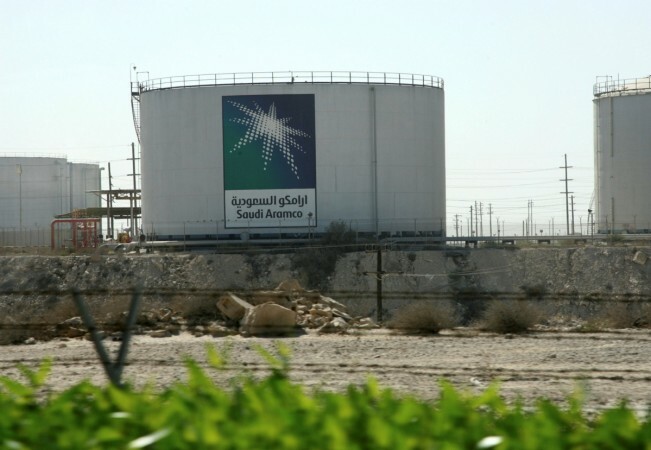 It remains to be seen if the investment in Reliance would affect Aramco's plans to invest in the greenfield refinery, which is also facing land acquisition hurdles.